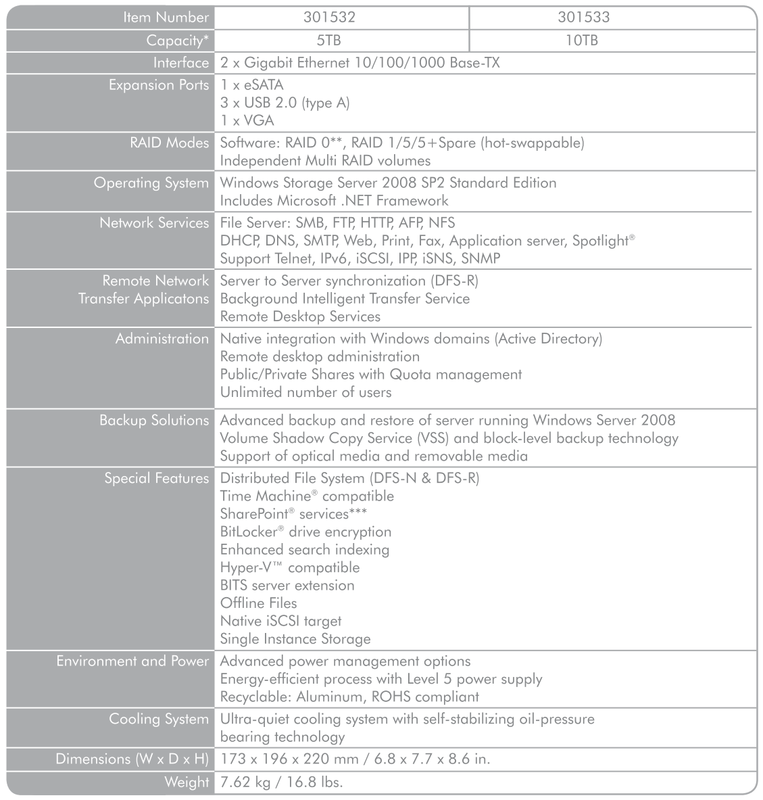 Back in March 2010, Intel announced an Atom based platform optimized for storage applications. Using either a D410 or the dual core D510, paired with an Intel 82801IR I/O controller, it was touted by Intel to have been picked up by various NAS vendors such as LaCie, LG, QNAP, Synology and Thecus. We have had the LaCie 5big storage server in our labs for the last few weeks. Aimed at catering to the needs of small and medium businesses for a professional file sharing appliance, the server brings in a wealth of features thanks to the Windows Storage Server 2008 platform on which the NAS runs. 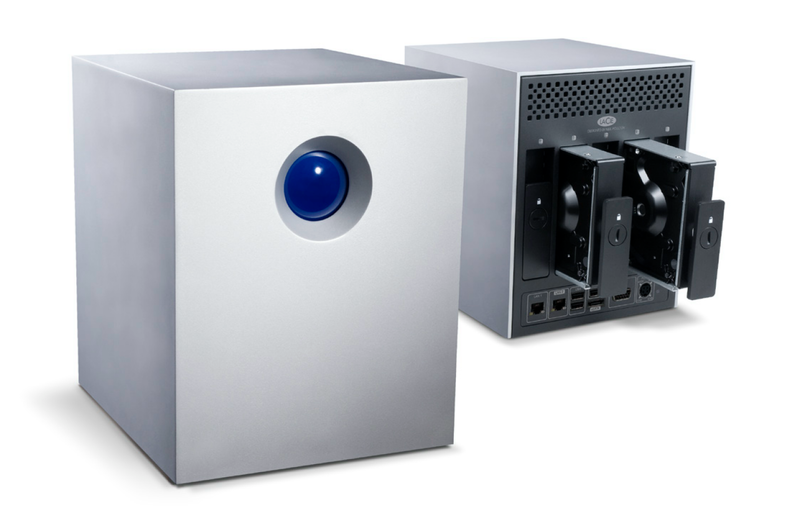 The LaCie 5big storage server runs a dual core Atom D510 at 1.66 GHz with 2 GB of RAM. The Atom processor also handles the RAID management. While the RAID configuration can be changed by the end-user, it ships with the disks in RAID5. Thus, the 5big with 5 1TB hard drives has 3.5 TB of available space for data (after 100 GB is allocated for the OS installation and swap space). $1475 for an available 3.5TB ~ $2.37/GB which is about how much SSDs cost for storage. If I personally want 18 TB of storage, I would definitely go with your configuration :) However, the professional storage appliance market is different. People are ready to pay as long as the seller guarantees uptime of the storage. At my workplace (not AnandTech), vendors have turned up at 2 AM on a Sunday night to replace failed drives in our SAN. Of course, to get such response, one needs to purchase some extended maintenance options. However, these options aren't available unless one purchases the original unit from the company. What you are saying makes a lot of sense, but this isn't a big service oriented server vendor like HP or Dell. I checked out LaCie and the box comes with a 1 year parts and service warranty. For an extra $150 you can stretch that out to two years. There is no on-site repair option available. If something goes wrong you check the faq online and then call tech support. Support will go through the usual list (is it plugged in, did you turn it on....) before issuing you a RMA number. There is absolutely no guarantee of uptime or anything close to policies designed to keep the data available at all times. I don't know about you, but once that box is populated it is never going back to a service center for 'warranty work'. I believe LaCie has some sort of on-site maintenance plan too. This is mainly targeted towards people who don't have full time IT staff or lack the technical know-how to build and maintain one themselves. 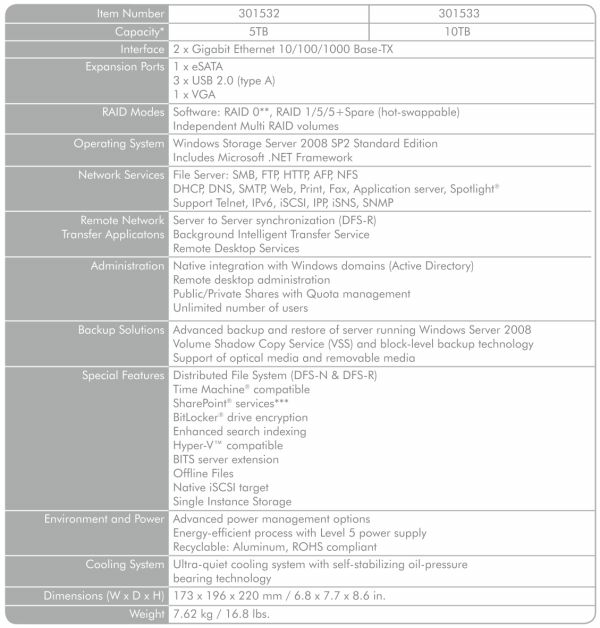 LaCie also has a Pro line (12-rack NAS server) which fits the 'server' grade criteria. I found something comparable to it. It costs $25 more and is also made of the same grade of consumer parts. It also provides 12TB of storage and includes the footwarmer power supply.